The secret to a great car show is massive exposure. MSCC can give your event massive exposure-but we need your help to make your show a home run with car guys. 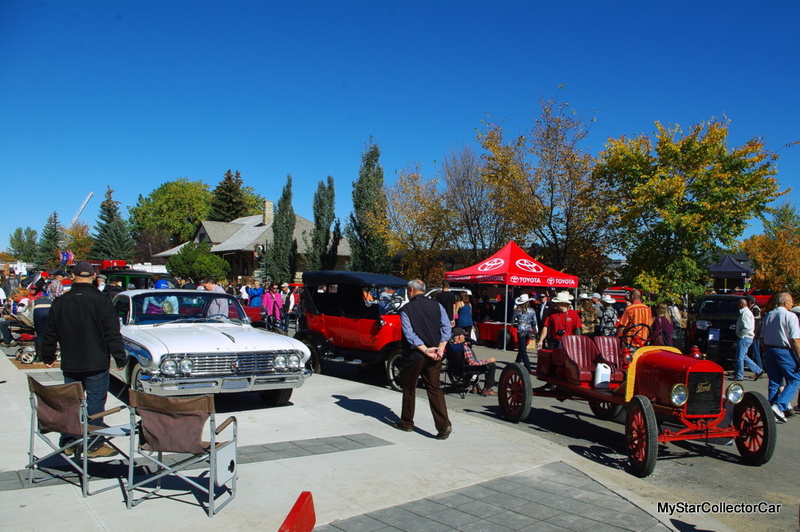 There are good reasons why MyStarCollectorCar is number one in a Google Canada search for monthly car shows and events. Firstly, MyStarCollectorCar likes to get out of the chute early and we are already planning our 2018 calendar. Secondly, MyStarCollectorCar likes to provide accurate information about shows. We do not want to guess on your show and have a bunch of bewildered car guys show up on the wrong date at the right venue. Bewilderment morphs very quickly into anger and MyStarCollectorCar does not want to be the lightning rod for that level of PO’d-ness. Thirdly, MyStarCollectorCar is willing to provide a rain date for a bad day when only ducks are happy. 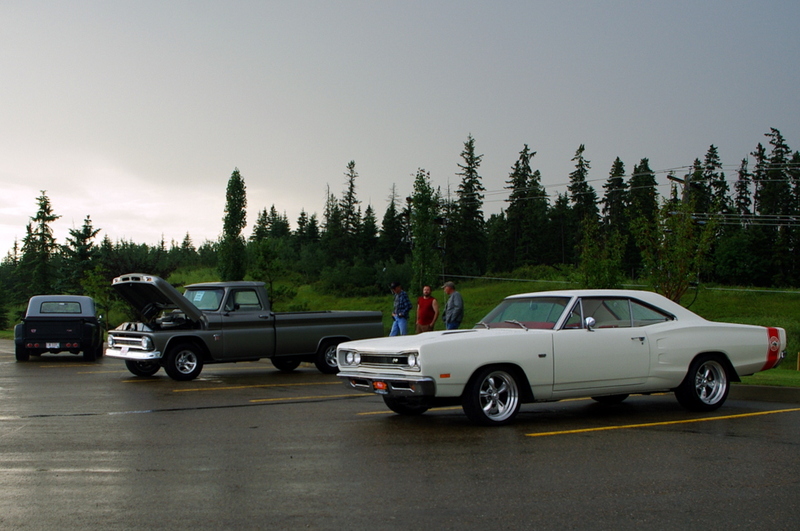 Many summer car shows play a meteorological poker game with the weather gods and lose badly at the table. 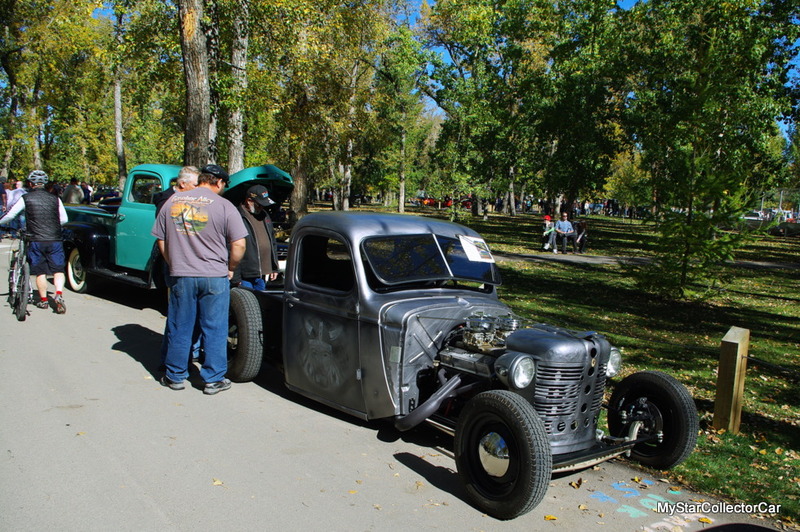 Consequently, car show organizers provide a backup date when rain drowns their primary date. The rain date is a safety net for the shows and allows them to recoup some of their investment, whether it’s their time or money. Fourthly, MyStarCollectorCar will provide a direct link to your website or social media page for more information about your show. MyStarCollectorCar can do a lot for your show, but we need your help to make your show a success. We need you to get back to us as soon as you have finalized a date for your show. Organizers really need to note the “as soon as” part- because your delay costs you valuable time in our limelight where potential attendees are unaware of your show and its date. The longer you delay contacting us, the less your show is given the kind of exposure it needs to be a success. 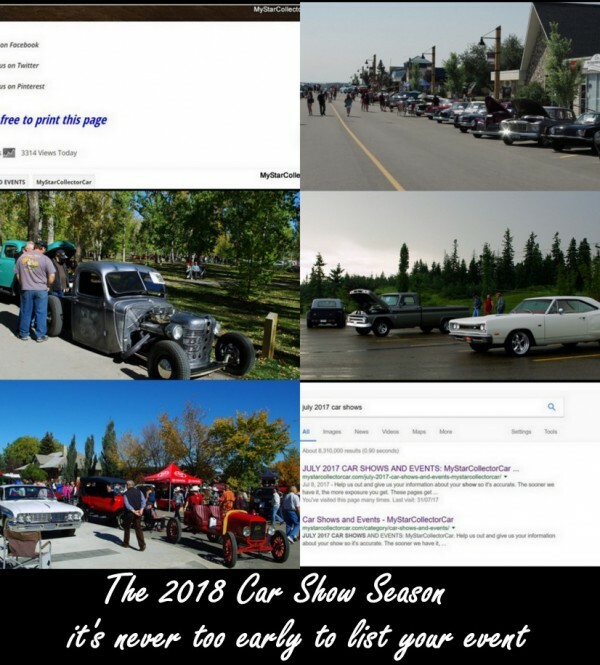 MyStarCollectorCar provides one of the most dynamic online event sites in Canada and a Google Canada search under car shows (by month and year) puts us firmly at the Number One position. The facts speak for themselves when it comes to stats and position. For example, MyStarCollectorCar had well over half a million views in June and July, 2017 alone. Our readers can check out our view count at the end of the MyStarCollectorCar June/July 2017 car show web pages for themselves to confirm this information. Most websites will conceal their view stats because they don’t want their readers to actually see the view numbers. We are very proud of our view count here at MyStarCollectorCar because the numbers were achieved through 8 ½ years of hard work, along with learning what works (and what doesn’t) on our site. MyStarCollectorCar is a commercial site that exists because of ad revenue, so we will always protect our clients’ advertising investment in us. Thus we do not provide any acknowledgement of a commercial business on our event pages-unless they are one of our customers. 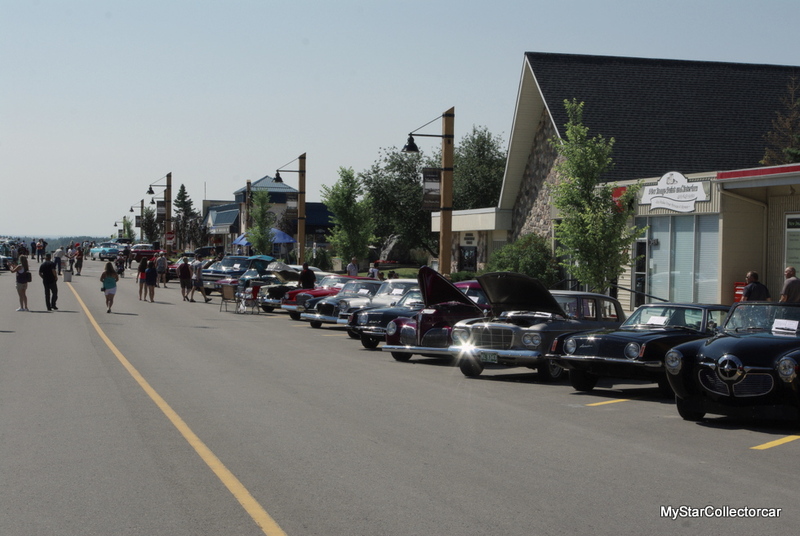 However, we will provide street addresses for car shows at these commercial events. Some of the non-profit shows have chosen to amp up their exposure through an advertising agreement with MyStarCollectorCar that has dramatically increased their exposure. We noticed their ads in other publications and contacted them about an ad deal with MyStarCollectorCar. The results have been overwhelming to say the least-both for them and us. 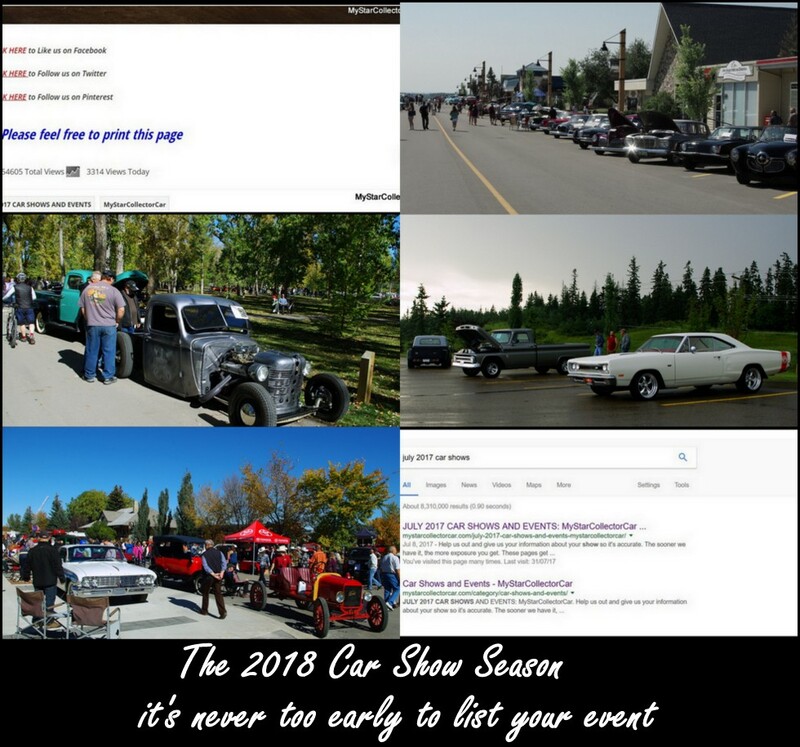 I mentioned that MyStarCollectorCar is already building our 2018 online car shows and events calendar. The annual shows that take place on a traditional date are the easiest, but the shows that move around are still our biggest challenge. Car show organizers definitely need to read and listen to this part because this segment is the most important part of the article: Get in touch with us as soon as you know your date. You can use this contact form to send us the information. Bluntly stated, your show’s success depends on the earliest possible exposure and we are doing you a huge favor. Get in touch with us.